Casey Burkhart Named BHS Gem! 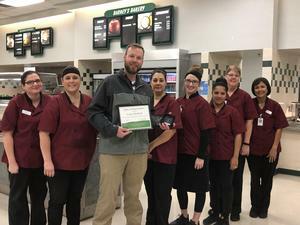 Congratulations to our fearless leader, Casey Burkhart, for being chosen as the recipient for the January Gem of Appreciation Award. 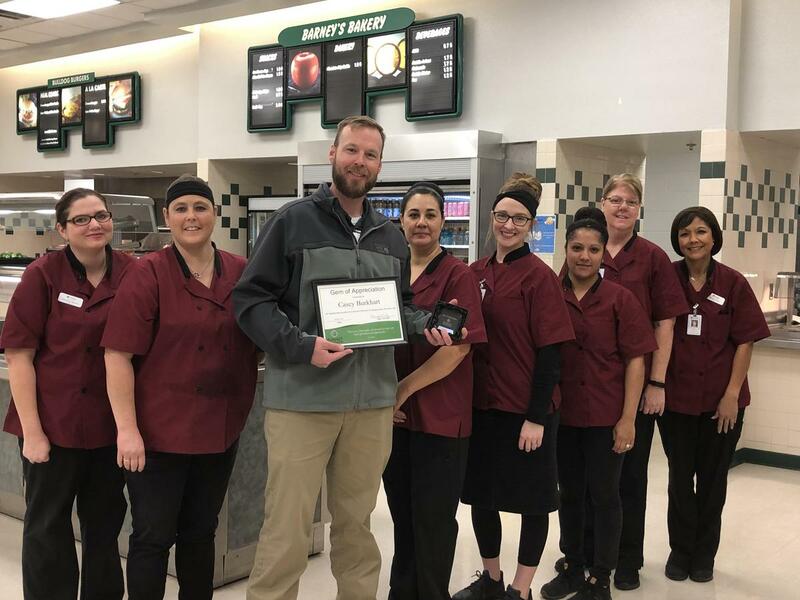 Mr. Burkhart was nominated by our Cafeteria Manager, JoAnn Chapa, and her crew. "Casey is the best principal I have worked with in my 18 years with the district. He communicates with us daily and always lets us know what's going on and when events are taking place. Each and every day he comes by to say hi and see if we need anything. He never fails to have a smile on his face!" Thank you to Mr. Burkhart for being such a positive and conscientious leader for BHS and showing us all what Spirit, Pride and Honor looks like!